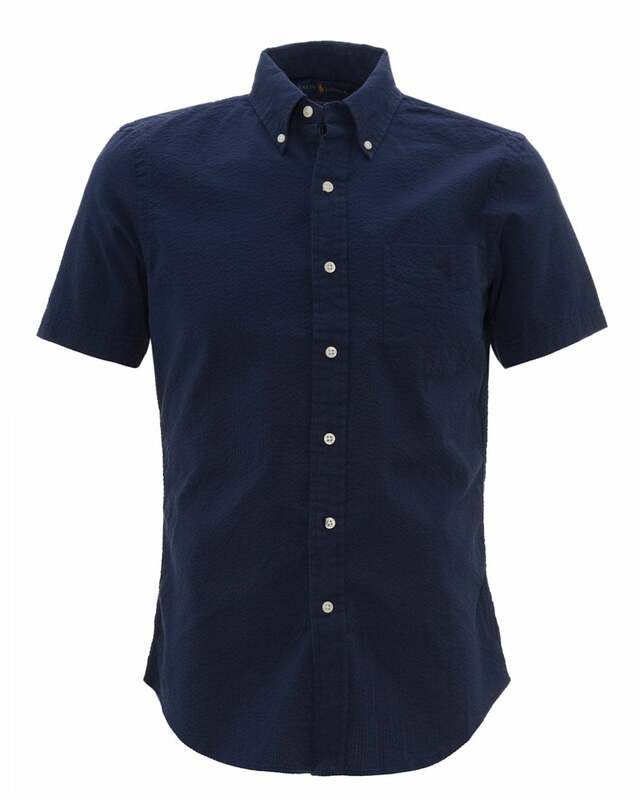 A short-sleeved lightweight Ralph Lauren shirt ideal for days out in the sun. This shirt features seersucker fabric, a chest pocket embroidered with the iconic polo player and breathable properties. A perfect addition to your vacation wardrobe right next to your chino shorts.